We've all heard Steve Jobs saying the iPad is a "magical" device and having owned one for a few weeks now I can say that in some ways it really is. But this guy from Japan is taking it to another level. 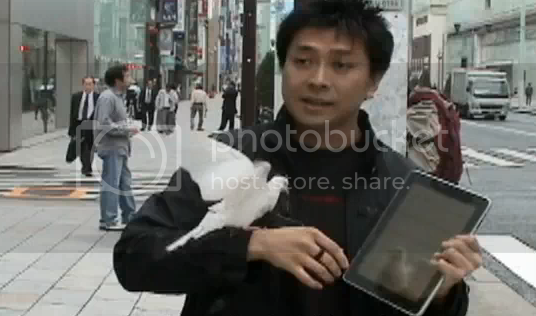 The guy on the image above is named Shinya, he's basically the David Blaine of Japan when it comes to street magic. The tricks he performs on the video after the break are very entertaining especially when you're using a USD 500.00 device as a prop. The whole video is in Japanese but there's subtitles on it to help you understand his talk about the way we've been communicating through the ages. You might want to watch it twice so you can read the subtitles the first time and concentrate on what he's doing the second time you watch it. It's about 2:45 mins long but it's still a great way to pass time.